These highlights do not include all the information needed to use HUMULIN R safely and effectively. See full prescribing information for HUMULIN R.
HUMULIN R is indicated to improve glycemic control in adult and pediatric patients with diabetes mellitus. Always check the insulin label before administration to confirm the correct insulin product is being used [see Warnings and Precautions (5.4)]. Inspect HUMULIN R visually before use. It should appear clear and colorless. Do not use HUMULIN R if particulate matter or coloration is seen. 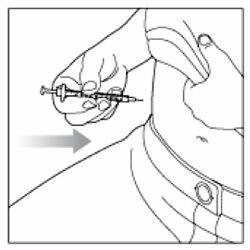 Inject HUMULIN R subcutaneously approximately 30 minutes before meals into the thigh, upper arm, abdomen, or buttocks. 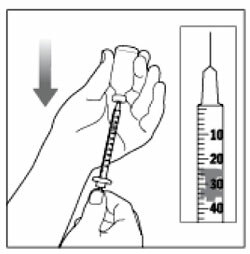 Administer HUMULIN R intravenously ONLY under medical supervision with close monitoring of blood glucose and potassium levels to reduce the risk of hypoglycemia and hypokalemia [see Warnings and Precautions (5.3, 5.6), How Supplied/Storage and Handling (16.3)]. For intravenous use, HUMULIN R should be used at concentrations from 0.1 unit/mL to 1 unit/mL in infusion systems containing 0.9% sodium chloride. Individualize and adjust the dosage of HUMULIN R based on the route of administration, the patient's metabolic needs, blood glucose monitoring results, and glycemic control goal. 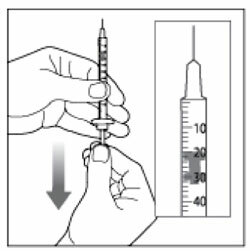 HUMULIN R given by subcutaneous injection should generally be used in regimens with an intermediate- or long-acting insulin. Dosage adjustments may be needed with changes in physical activity, changes in meal patterns (e.g., macronutrient content or timing of food intake), changes in renal or hepatic function, or during acute illness [see Warnings and Precautions (5.2, 5.3), Use in Specific Populations (8.6, 8.7)]. 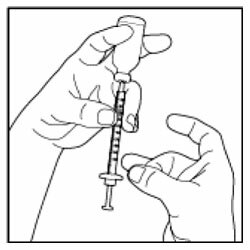 Dosage adjustment may be needed when switching from another insulin to HUMULIN R [see Warnings and Precautions (5.2)]. Dosage adjustment may be needed when HUMULIN R is co-administered with certain drugs [see Drug Interactions (7)]. Do not mix HUMULIN R with insulin preparations other than HUMULIN N.
To mix HUMULIN R and HUMULIN N, draw HUMULIN R into the syringe first. Inject immediately after mixing. in patients with hypersensitivity to HUMULIN R or any of its excipients. Patients using HUMULIN R vials must never share needles or syringes with another person. Sharing poses a risk for transmission of blood-borne pathogens. Changes in insulin, manufacturer, type, or method of administration may affect glycemic control and predispose to hypoglycemia [see Warnings and Precautions (5.3)] or hyperglycemia. These changes should be made cautiously and only under medical supervision and the frequency of blood glucose monitoring should be increased. For patients with type 2 diabetes, adjustments in concomitant anti-diabetic medications may be needed. Hypoglycemia is the most common adverse reaction of all insulins, including HUMULIN R. Severe hypoglycemia can cause seizures, may lead to unconsciousness, may be life threatening or cause death. Hypoglycemia can impair concentration ability and reaction time; this may place an individual and others at risk in situations where these abilities are important (e.g., driving or operating other machinery). The risk of hypoglycemia after an injection is related to the duration of action of the insulin and, in general, is highest when the glucose lowering effect of the insulin is maximal. As with all insulin preparations, the glucose lowering effect time course of HUMULIN R may vary in different individuals or at different times in the same individual and depends on many conditions, including the area of injection as well as the injection site blood supply and temperature [see Clinical Pharmacology (12.2)]. Other factors which may increase the risk of hypoglycemia include changes in meal pattern (e.g., macronutrient content or timing of meals), changes in level of physical activity, or changes to co-administered medication [see Drug Interactions (7)]. Patients with renal or hepatic impairment may be at higher risk of hypoglycemia [see Use in Specific Populations (8.6, 8.7)]. Patients and caregivers must be educated to recognize and manage hypoglycemia. Self-monitoring of blood glucose plays an essential role in the prevention and management of hypoglycemia. In patients who have reduced symptomatic awareness of hypoglycemia, increased frequency of blood glucose monitoring is recommended. Accidental mix-ups between HUMULIN R and other insulins have been reported. 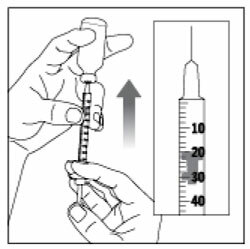 To avoid medication errors between HUMULIN R and other insulins, instruct patients to always check the insulin label before each injection. Severe, life-threatening, generalized allergy, including anaphylaxis, can occur with HUMULIN R [see Adverse Reactions (6)]. If hypersensitivity reactions occur, discontinue HUMULIN R; treat per standard of care and monitor until symptoms and signs resolve. HUMULIN R is contraindicated in patients who have had a hypersensitivity reaction to HUMULIN R or its excipients [see Contraindications (4)]. All insulin products, including HUMULIN R, cause a shift in potassium from the extracellular to intracellular space, possibly leading to hypokalemia. Untreated hypokalemia may cause respiratory paralysis, ventricular arrhythmia, and death. Monitor potassium levels in patients at risk for hypokalemia if indicated (e.g., patients using potassium-lowering medications, patients taking medications sensitive to serum potassium concentrations). Thiazolidinediones (TZDs), which are peroxisome proliferator-activated receptor (PPAR)-gamma agonists, can cause dose-related fluid retention, particularly when used in combination with insulin. Fluid retention may lead to or exacerbate heart failure. Patients treated with insulin, including HUMULIN R, and a PPAR-gamma agonist should be observed for signs and symptoms of heart failure. If heart failure develops, it should be managed according to current standards of care, and discontinuation or dose reduction of the PPAR-gamma agonist must be considered. The following additional adverse reactions have been identified during clinical studies or from postmarketing reports with use of HUMULIN R. Because some of these reactions are reported voluntarily from a population of uncertain size, it is not always possible to reliably estimate their frequency or to establish a causal relationship to drug exposure. Severe allergic reactions may include anaphylaxis, generalized skin reactions, rash, angioedema, bronchospasm, hypotension, and shock. Hypoglycemia is the most commonly observed adverse reaction in HUMULIN R.
HUMULIN R can cause a shift in potassium from the extracellular to intracellular space, possibly leading to hypokalemia. Injection site reactions may include injection site hematoma, pain, hemorrhage, erythema, nodules, swelling, discoloration, pruritus, warmth, and injection site mass. Administration of insulin subcutaneously, including HUMULIN R, has resulted in lipoatrophy (depression in the skin) or lipohypertrophy (enlargement or thickening of tissue) in some patients [see Dosage and Administration (2.2)]. Medication errors in which other insulins have been accidentally substituted for HUMULIN R have been identified during postapproval use. Insulin, including HUMULIN R, may cause sodium retention and edema, particularly if previously poor metabolic control is improved by intensified insulin therapy. Weight gain can occur with insulin therapy, including HUMULIN R, and has been attributed to the anabolic effects of insulin. As with all therapeutic peptides, insulin administration may cause anti-insulin antibodies to form. The incidence of antibody formation with HUMULIN R is unknown. Intervention: Dose adjustment and increased frequency of glucose monitoring may be required when HUMULIN R is co-administered with these drugs. Intervention: Increased frequency of glucose monitoring may be required when HUMULIN R is co-administered with these drugs. Available data from published studies over decades have not established an association with human insulin use during pregnancy and major birth defects, miscarriage, or adverse maternal or fetal outcomes (see Data). There are risks to the mother and fetus associated with poorly controlled diabetes in pregnancy (see Clinical Considerations). Animal reproduction studies were not performed. Poorly controlled diabetes in pregnancy increases the maternal risk for diabetic ketoacidosis, pre-eclampsia, spontaneous abortions, preterm delivery, stillbirth, and delivery complications. Poorly controlled diabetes increases the fetal risk for major birth defects, stillbirth, and macrosomia-related morbidity. While available studies cannot definitively establish the absence of risk, published data from retrospective studies, open-label, randomized, parallel studies and meta-analyses over decades have not established an association with human insulin use during pregnancy and major birth defects, miscarriage, or adverse maternal or fetal outcomes. All available studies have methodological limitations, including lack of blinding, unclear methods or randomization, and small sample size. Available data from published literature suggests that exogenous human insulin products, including HUMULIN R, are transferred into human milk. There are no adverse reactions reported in breastfed infants in the literature. There are no data on the effects of exogenous human insulin products, including HUMULIN R on milk production. The developmental and health benefits of breastfeeding should be considered along with the mother's clinical need for HUMULIN R and any potential adverse effects on the breastfed child from HUMULIN R or from the underlying maternal condition. HUMULIN R is indicated to improve glycemic control in pediatric patients with diabetes mellitus. The dosage of HUMULIN R must be individualized in pediatric patients based on metabolic needs and frequent monitoring of blood glucose to reduce the risk of hypoglycemia [see Dosage and Administration (2.3), Warnings and Precautions (5.3)]. The effect of age on the pharmacokinetics and pharmacodynamics of HUMULIN R has not been studied. Elderly patients using HUMULIN R may be at increased risk of hypoglycemia due to co-morbid disease [see Warnings and Precautions (5.3)]. The effect of renal impairment on the pharmacokinetics and pharmacodynamics of HUMULIN R has not been studied. Patients with renal impairment are at increased risk of hypoglycemia and may require more frequent HUMULIN R dose adjustment and more frequent blood glucose monitoring [see Warnings and Precautions (5.3)]. The effect of hepatic impairment on the pharmacokinetics and pharmacodynamics of HUMULIN R has not been studied. Patients with hepatic impairment are at increased risk of hypoglycemia and may require more frequent HUMULIN R dose adjustment and more frequent blood glucose monitoring [see Warnings and Precautions (5.3)]. Excess insulin administration may cause hypoglycemia and hypokalemia. Mild episodes of hypoglycemia usually can be treated with oral glucose. Adjustments in drug dosage, meal patterns, or exercise may be needed. More severe episodes with coma, seizure, or neurologic impairment may be treated with intramuscular or subcutaneous glucagon or intravenous glucose. Sustained carbohydrate intake and observation may be necessary because hypoglycemia may recur after apparent clinical recovery. Hypokalemia must be corrected appropriately [see Warnings and Precautions (5.3, 5.6)]. HUMULIN R (insulin human injection) is a short-acting human insulin for subcutaneous or intravenous use. HUMULIN R is produced by recombinant DNA technology utilizing a non-pathogenic laboratory strain of Escherichia coli. HUMULIN R is regular human insulin and has the empirical formula C257H383N65O77S6 with a molecular weight of 5808. HUMULIN R is a sterile, aqueous, clear, and colorless solution. HUMULIN R contains 100 units of insulin in each milliliter. Each milliliter of HUMULIN R also contains glycerin 16 mg, metacresol 2.5 mg, endogenous zinc (approximately 0.015 mg/100 units,) and Water for Injection. Sodium hydroxide and hydrochloric acid may be added during manufacture to adjust the pH. The primary activity of insulin, including HUMULIN R, is the regulation of glucose metabolism. Insulin lowers blood glucose by stimulating peripheral glucose uptake, especially by skeletal muscle and fat, and by inhibiting hepatic glucose production. Insulin inhibits lipolysis and proteolysis, and enhances protein synthesis. The time course of insulin action (i.e., glucose lowering) may vary considerably in different individuals or within the same individual. 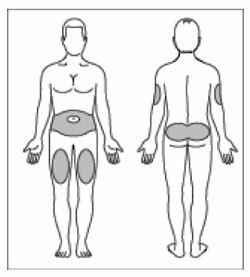 With subcutaneous use, the pharmacologic effect of HUMULIN R begins approximately 30 minutes (range: 10 to 75 minutes) after administration of doses in the 0.05 to 0.4 units/kg range (Figure 1). The effect is maximal at approximately 3 hours (range: 20 minutes to 7 hours) and terminates after approximately 8 hours (range: 3 to 14 hours). In a study that administered 50 and 100 units doses subcutaneously to obese subjects, mean time of termination of effect was prolonged to approximately 18 hours (range approximately 12-24 hours). 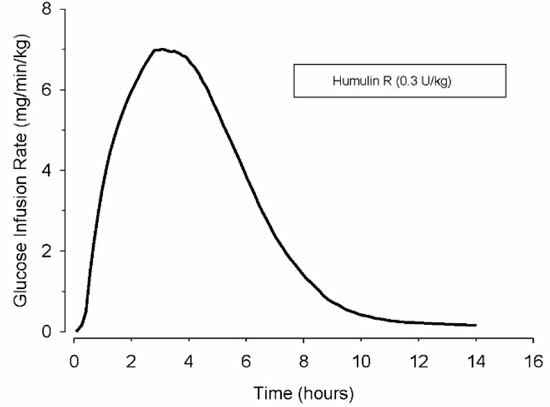 Figure 1: Mean Insulin Activity Versus Time Profile After Subcutaneous Injection of HUMULIN R (0.3 unit/kg) in Healthy Subjects. With intravenous use, the pharmacologic effect of HUMULIN R begins at approximately 10 to 15 minutes and terminates at a median time of approximately 4 hours (range: 2 to 6 hours) after administration of doses in the range of 0.1 to 0.2 units/kg. The intravenous administration of HUMULIN R was tested in 21 people with type 1 diabetes. During the 6-hour assessment phase patients received intravenous HUMULIN R at an initial dose of 0.5 units/hour, adjusted to maintain blood glucose concentrations near normoglycemia (100 to 160 mg/dL). The mean blood glucose levels during the assessment phase for patients on HUMULIN R therapy are summarized below in Table 2. All patients achieved near normoglycemia during the 6-hour assessment phase. The average time (± SE) required to attain near normoglycemia was 161 ± 14 minutes for HUMULIN R.
Absorption — In healthy subjects given subcutaneous doses of HUMULIN R ranging from 0.05 to 0.4 unit/kg, mean peak serum levels occurred between 36 to 150 minutes after dosing. After subcutaneous administration of a single 12 unit dose (approximately 0.15 units/kg) to patients with type 1 diabetes, the median peak serum level occurred at approximately 2 hours (range: 20 minutes-6 hours). In a study that administered 50 units (0.4-0.6 unit/kg) and 100 units (0.8-1.3 unit/kg) doses subcutaneously to healthy obese subjects, median peak serum levels were prolonged to approximately 3 hours (range 1 to 8 hours). The absolute bioavailability after a single subcutaneous injection of HUMULIN R ranges from 48% to 89% in the 0.1 to 0.3 unit/kg dose range. Distribution — When HUMULIN R is administered intravenously at doses of 0.1 or 0.2 unit/kg, the mean volume of distribution ranges between 0.32 to 0.67 L/kg. Excretion — After subcutaneous administration of HUMULIN R doses in the 0.05-0.4 unit/kg dose range, the median apparent half-life is approximately 1.5 hours (range: 40 minutes-7 hours). Mean apparent half-life of HUMULIN R after subcutaneous administration of higher doses (50 and 100 units) to healthy obese subjects was approximately 3.6 hours (range= 1.6-8.6 hours). When administered intravenously, HUMULIN R had a mean half-life of approximately 20 minutes at a 0.1 unit/kg dose and 1 hour at a 0.2 unit/kg dose. Carcinogenicity and fertility studies were not performed in animals. Patients using HUMULIN R vials must never share needles or syringes with another person. Protect from heat and light. Do not freeze. 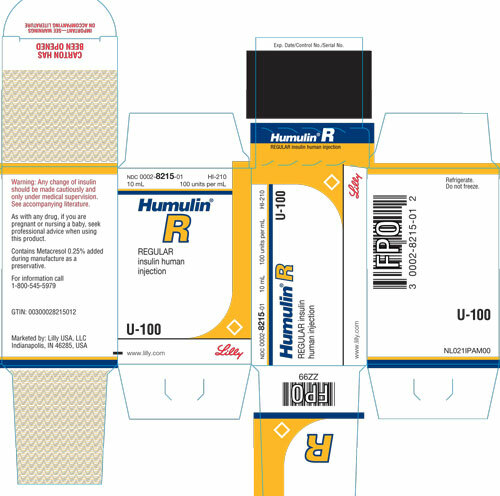 Do not use HUMULIN R after the expiration date printed on the label or if it has been frozen. Intravenous infusion bags prepared with HUMULIN R are stable when stored in a refrigerator (36° to 46°F [2° to 8°C]) for 48 hours and then may be used at room temperature for up to an additional 48 hours [see Dosage and Administration (2.2)]. 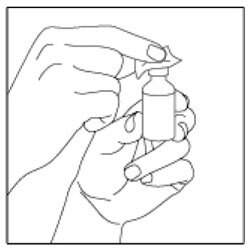 Advise patients using HUMULIN R vials not to share needles or syringes with another person. Sharing poses a risk for transmission of blood-borne pathogens. Inform patients that hypoglycemia is the most common adverse reaction with insulin. 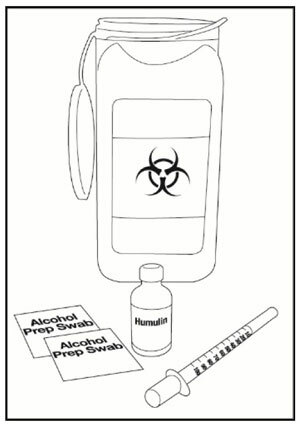 Instruct patients on self-management procedures including glucose monitoring, proper injection technique, and management of hypoglycemia and hyperglycemia, especially at initiation of HUMULIN R therapy. Instruct patients on handling of special situations such as intercurrent conditions (illness, stress, or emotional disturbances), an inadequate or skipped insulin dose, inadvertent administration of an increased insulin dose, inadequate food intake, and skipped meals. 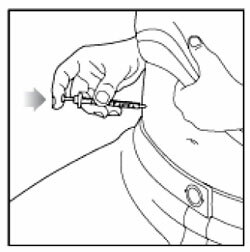 Instruct patients on the management of hypoglycemia [see Warnings and Precautions (5.3)]. Advise patients that hypersensitivity reactions have occurred with HUMULIN R. Inform patients on the symptoms of hypersensitivity reactions and to seek medical attention if they occur [see Warnings and Precautions (5.5)]. Humulin R is a man-made insulin that is used to control high blood sugar in adults and children with diabetes mellitus. Who should not use Humulin R? have an allergy to human insulin or any of the ingredients in Humulin R. See the end of this Patient Information leaflet for a complete list of ingredients in Humulin R.
What should I tell my healthcare provider before using Humulin R? have heart failure or other heart problems. If you have heart failure, it may get worse while you take TZDs with Humulin R.
are pregnant, planning to become pregnant. Talk with your healthcare provider about the best way to control your blood sugar if you plan to become pregnant or while you are pregnant. are breast-feeding or plan to breastfeed. HUMULIN R may pass into your breast milk. Talk with your healthcare provider about the best way to feed your baby while using HUMULIN R.
Before you start using Humulin R, talk to your healthcare provider about low blood sugar and how to manage it. How should I use Humulin R? Read the detailed Instructions for Use that comes with your Humulin R.
Use Humulin R exactly as your healthcare provider tells you to. Your healthcare provider should tell you how much Humulin R to use and when to use it. Use Humulin R 30 minutes before eating a meal. Know the type, strength, and amount of insulin you use. Do not change the type, or amount of insulin you use unless your healthcare provider tells you to. The amount of insulin and the best time for you to take your insulin may need to change if you use different types of insulin. 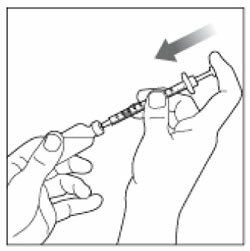 Inject Humulin R under your skin (subcutaneously). Do not inject Humulin R into your vein (intravenously) or muscle (intramuscularly). Do not mix Humulin R with any other insulin except Humulin® N. If Humulin R is mixed with Humulin N, Humulin R should be drawn into the syringe first. Inject immediately after mixing. Keep Humulin R and all medicines out of reach of children. What should I avoid while using Humulin R? drive or operate heavy machinery, until you know how Humulin R affects you. What are the possible side effects of Humulin R? Treatment with TZDs and Humulin R may need to be adjusted or stopped by your healthcare provider if you have new or worse heart failure. severe hypoglycemia needing hospitalization or emergency room care, and be sure to tell the hospital staff the units of Humulin R that your healthcare provider has prescribed for you. low blood sugar (hypoglycemia), allergic reactions including reactions at your injection site, skin thickening or pits at the injection site (lipodystrophy), weight gain, swelling (edema) in hands or feet, itching and rash. These are not all of the possible side effects of Humulin R. Call your doctor for medical advice about side effects. You may report side effects to FDA at 1-800-FDA-1088. Medicines are sometimes prescribed for purposes other than those listed in a Patient Information leaflet. Do not use Humulin R for a condition for which it was not prescribed. Do not give Humulin R to other people, even if they have the same symptoms you have. It may harm them. This Patient Information leaflet summarizes the most important information about Humulin R. If you would like more information, talk with your healthcare provider. You can ask your pharmacist or healthcare provider for information about Humulin R that is written for healthcare providers. For more information go to www.humulin.com or call 1-800-LillyRx (1-800-545-5979). What are the ingredients in Humulin R? Inactive ingredients: glycerin, metacresol, water for injection, sodium hydroxide and hydrochloric acid. For more information about Humulin R go to www.humulin.com. 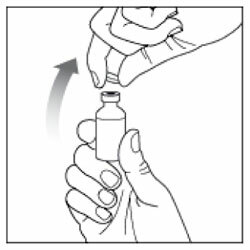 Read the Instructions for Use before you start taking HUMULIN R and each time you get a new vial. There may be new information. This information does not take the place of talking to your healthcare provider about your medical condition or your treatment. Check the HUMULIN R label to make sure you are taking the right type of insulin. This is especially important if you use more than 1 type of insulin. Do not use HUMULIN R past the expiration date printed on the label or 31 days after you first use it. 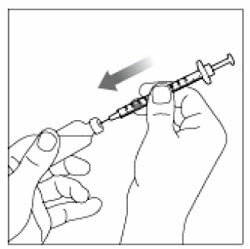 Always use a new syringe or needle for each injection to help make sure the syringe needle is sterile and to prevent blocked needles. Do not reuse or share your syringes or needles with other people. You may give other people a serious infection or get a serious infection from them. Check the insulin. HUMULIN R solution should look clear and colorless. Do not use HUMULIN R if it looks cloudy, thick, slightly colored, or if you see particles in the solution. 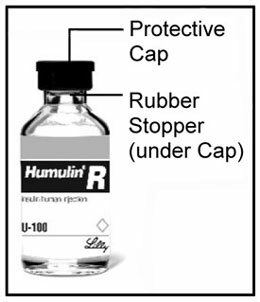 If you are using a new HUMULIN R vial, flip off the plastic protective Cap, but do not remove the Rubber Stopper. 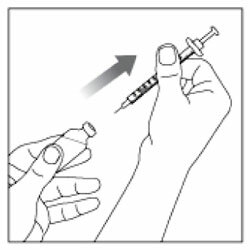 If there are air bubbles in the syringe, tap the syringe gently a few times to let any air bubbles rise to the top. Check to make sure that you have the right dose. HUMULIN N is the only type of insulin that can be mixed with HUMULIN R. Do not mix HUMULIN R with any other type of insulin. 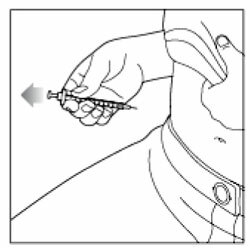 HUMULIN R should be drawn up into the syringe first, before you draw up Humulin N. Talk to your healthcare provider if you are not sure about the right way to mix HUMULIN R and HUMULIN N.
HUMULIN R is injected under the skin (subcutaneously) of your stomach area (abdomen), buttocks, upper legs or upper arms. You may see a drop of insulin at the needle tip. This is normal and does not affect the dose you received. How should I store HUMULIN R? Store all unopened vials in the refrigerator at 36° to 46°F (2° to 8°C). Throw away all opened vials after 31 days, even if there is still insulin left in the vial. Keep HUMULIN R vials, syringes, needles, and all medicines out of the reach of children.